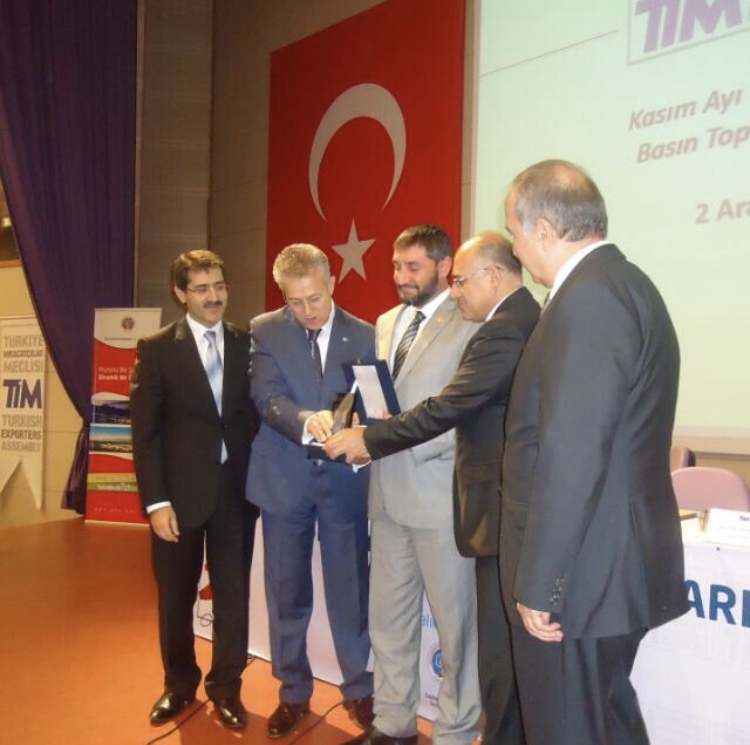 Export figures were announced with the hosting of Gaziosmanpaşa University. The Chairman of Dörtler Kablo San. Tic. Ltd. Şti, Mr. Haluk Aytaç, took the Export Success Award from Mr. Mehmet Büyükekşi, the President of Turkish Exporters Assembly.